Our lip balms are seasonal. 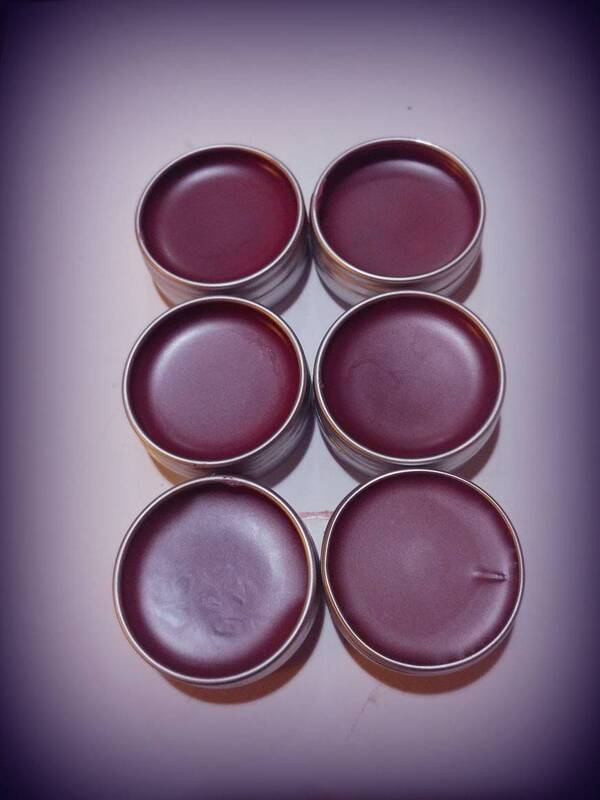 -lavender peppermint lip balm. 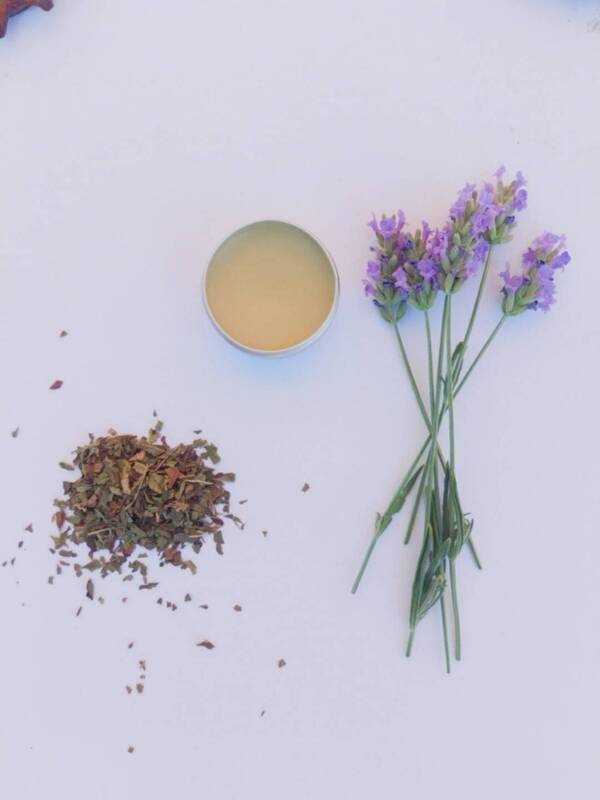 High altitude lavender and peppermint from our garden are infused in Shea butter, vitamin E oil and jojoba oil. -tinted peppermint. Wild rose hips and Blue spruce needles. Yerba Buena from the garden. Beeswax from our hives. 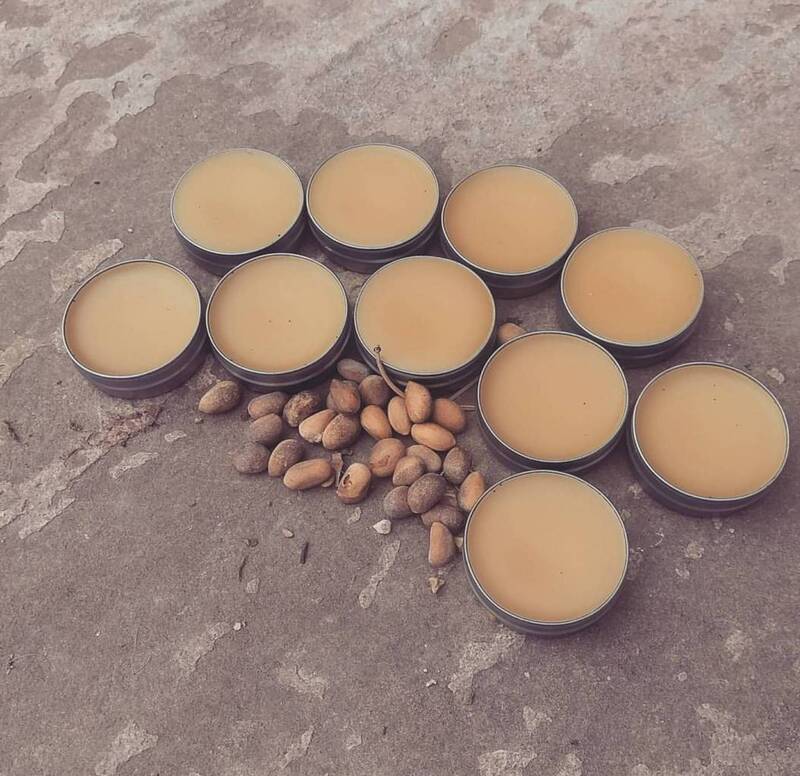 The tint is very light and similar to,a rosebud salve's tint.